Being able to build a museum, at least once – that is the great dream of many architects and construction engineers. Such a building offers a lot of freedom for creative expression, it is profitable and increases an architect's reputation. The question always arises as to what is more important: appropriately presenting the exhibits, or the exterior design? In this post we look at how the planners of two modern museum architecture buildings answered this question. The number of modern museums has increased rapidly in recent years. One reason for this are commercial collectors who want to exhibit their collections in an appropriate framework. They view this kind of presentation as a modern form of corporate communication. BMW World, for example, has lured more than 20 million automobile fans to Munich over the last ten years. In Baden-Württemberg's Waldenbuch, the Museum Ritter is dedicated to various art objects which focus on the "square". The building is – how could it be any different? – a square of 44 x 44 meters. But is it always this easy to harmonize form and function in museum architecture? When architects and construction engineers plan a museum, they have to bear various aspects in mind. These include, for example, flexible possibilities for use, especially for temporary exhibitions or if a collection is expanded at a later time. 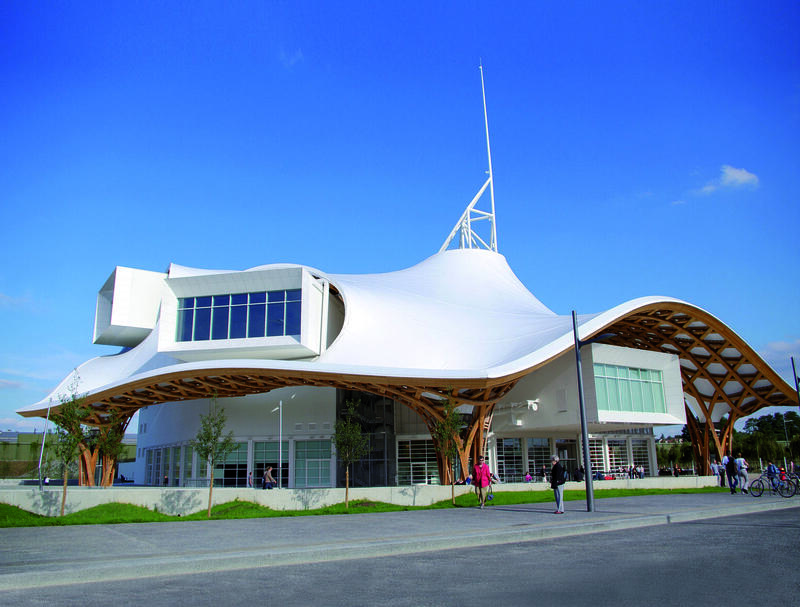 For the newly constructed Centre Pompidou-Metz, in the east France, the planners chose a construction of steel, wood and concrete reminiscent of the straw hats worn by Japanese rice farmers. The three exhibitions galleries each extend from the hexagonal tower to a length of more than 80 meters. The reinforced concrete elements overlap in the form of a parallelepiped and intersect at a 45-degree angle. They are supported by slim concrete columns. The main reinforced concrete supporting structure covers seven floors. Due to the different construction elements and materials, the structural design turned out to be a very complex construction which succeeded with the aid of 3D planning. In total, an exhibition space of 5,020 square meters was created. All exhibition areas may be adjusted as needed, thus making allowance for surprising art installations. The total of 59,000 exhibits in the main museum in Paris, which will be gradually exhibited in Metz, can thus be flexibly presented. Design itself also plays a major part in addition to the functional element. For instance, a modestly designed building envelope may present objects all the more elegantly. But it is also possible that museum architecture creates an interaction with the exhibits. This is the case at Corpus Museum in Oegstgeest, Netherlands. The transparent, 35 meter high building in the form of a sitting person invites visitors to get to know the human body up close from the inside. For example, they will discover how neurons interact with each other in the brain exhibit and travel on an adventurous journey as red blood corpuscles in the 5D-heart theater. 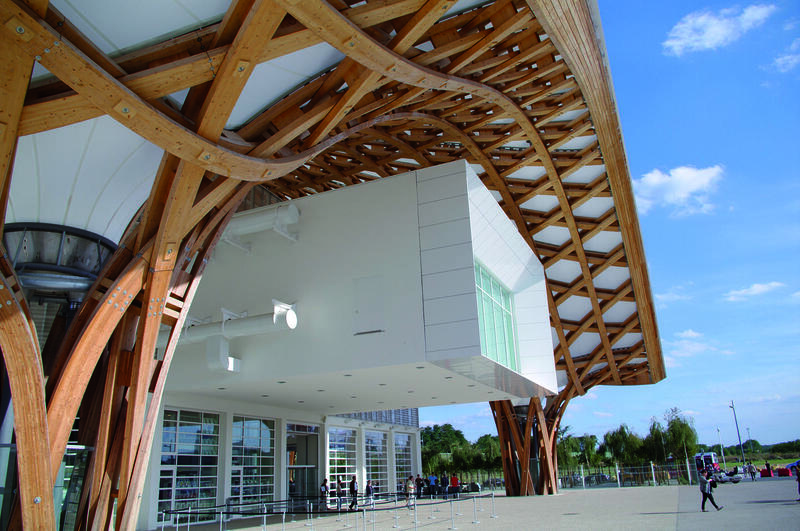 The planning firm, 3D Blueprint Architects & Engineers, was faced with the challenge of combining all wood and steel construction elements in such a way that all of the rooms of the giant human were readily accessible to all visitors. The team decided to rely on integrated project planning based on building information modeling. All planning mistakes could be discovered beforehand and the construction finished on schedule and below the planned budget. Modern museums are cultural buildings which attract visitors due to their exterior and interior design. Function and form are ideally closely linked. 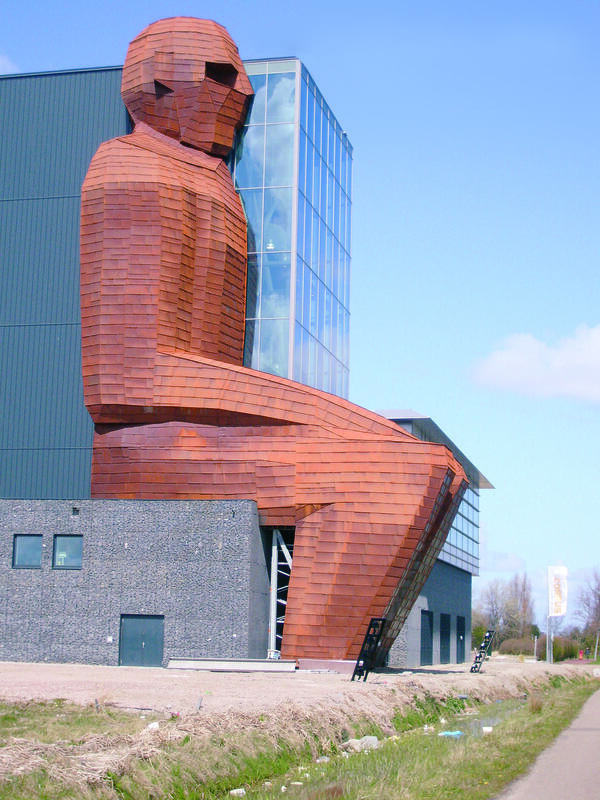 The result is architectonic works of art that offer the perfect space for special exhibits. You may find further extraordinary museum buildings in our article "5 remarkable architectural icons: Crazily put into shape”.